It’s 1930 something, you’re a New York City detective, and your career is looking glum as you tap your last cigarette from its packet, light it up and lean back in your creaky old chair. The smoke billows lazily around you as the fan whirs loudly in the corner of your dingy office. Then you notice it sitting on your desk, a new case, the one that could turn it all around. You call your partner and tell them to pick you up; you’ll catch them up on the details on the way to the crime scene. 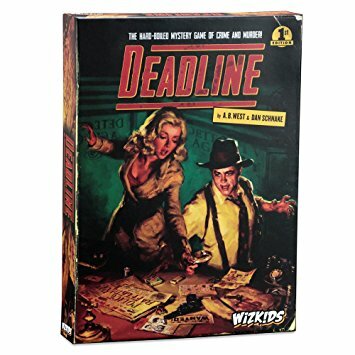 Deadline is a cooperative game for two to four players where you will work together to solve crimes by investigating clues, talking with witnesses and following up on leads. There are 12 scenarios for you to complete ranging from easy cases to hard. 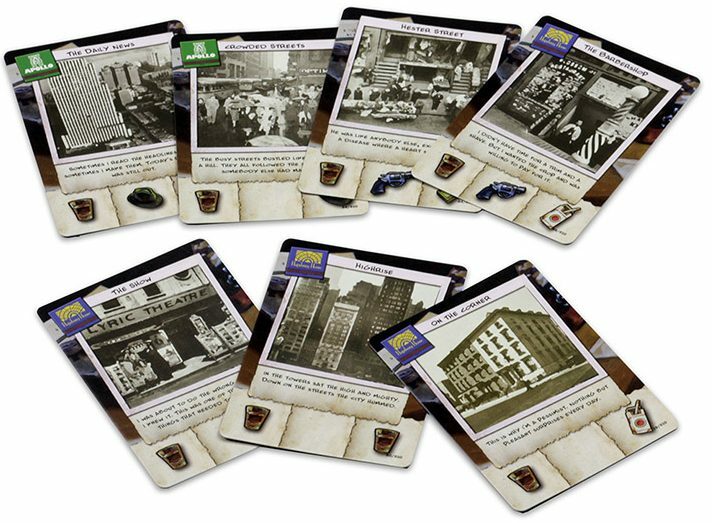 Each case has details of the crime to start you off along with a few starting clues for you to investigate. This review will remain as spoiler free as possible! To start off you’re going to pick a detective to play as, each one offering their own unique skill that can be utilised once during your game. 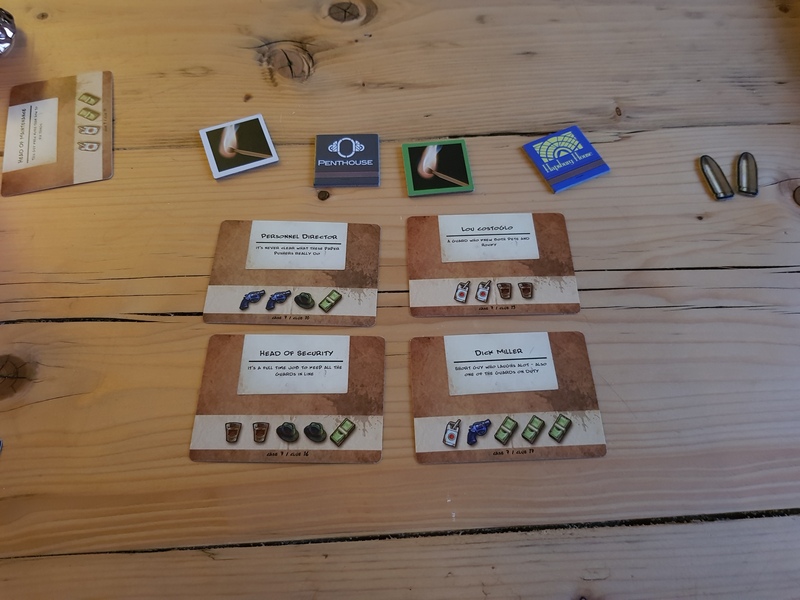 Depending on how many people are playing you’ll be dealt some lead cards – for 2 players, 5 cards, for 3 players, 4 cards etc… These cards are the key to getting the information you need. Each clue card has symbols across the bottom of them and your plot leads will also have the same symbols. In order to access the clue, between your group you’ll need to ‘play’ lead cards that match the symbols. E.G. if a clue card has two hats and one money, you’ll have to get a combination of two hats and money from your lead cards by placing them in an ‘investigation chain’. They don’t have to be in order, but you do have to place the cards in a specific way – symbols have to match up. If you’re playing one lead card that has, from left to right, a hat, a gun and a blank space, another player will have to play their card over the top of those symbols or offset. Say, they had a card with a gun, money and a hat they could play that card with both gun symbols lining up, the money would line up with the previous blank space which is essentially a free slot, then the hat would be offset on its own and you’d have all the parts needed to unlock the clue. If you succeed in getting a clue, you flip it over and read the text, you then get to keep the card to refer back to later on. It might sound a little complicated when you first read about it, but once you played a few cards you’ll easily pick it up. There are also a couple of other options you can make use of on your turn. Some cards have a matchbook symbol on them, these are your hot tips, and every time you play a card with the symbol on you can flip over a hot tip token to the side showing the lit match. There are four in total, if you have two active (lit match showing) you can draw a card to add to your hand, three or more will let you remove a number of Plot Twist cards that are in play. 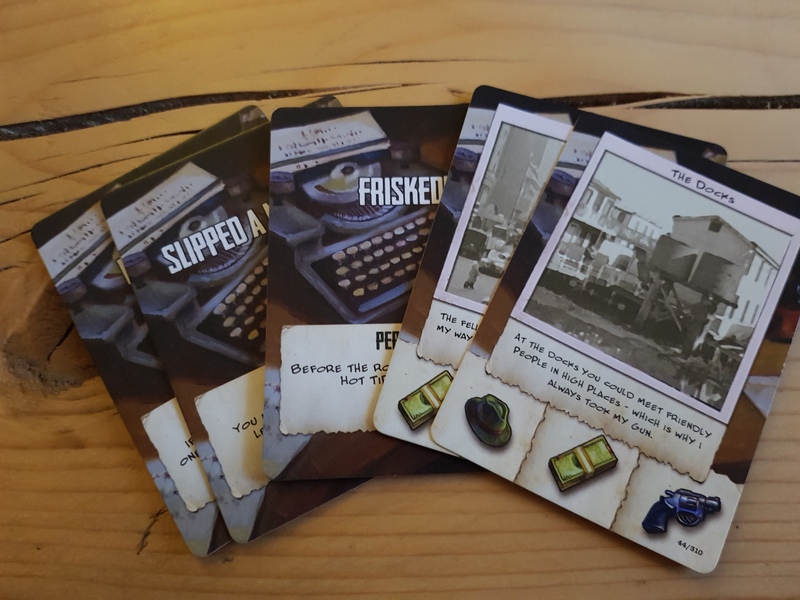 Plot twists are effectively banes that make things slightly more difficult for you, you might have to find an extra symbol when accessing a clue, or unflip hot tip cards at the start of a round, so removing them, will be very helpful! Another action is that you can use your Detective ability which varies from character to character. Finally you can choose to drop out of the ‘scene’, but if you do you’ll have to play a plot twist card from your hand. As you progress you’ll get access to more clues that will slowly piece together a case for you to work out. Some clues will be helpful and give you that vital piece of information that ties someone to the scene of the crime, whilst other clues will be a little more obtuse and not really help at all. The idea is that you will work your way through all of the clues, discuss which ones to investigate and in what order, discuss the overall case and then answer questions about it at the end of it. You effectively have three ‘lives’ and should you fail accessing a clue because you don’t have the right cards to unlock it, you’ll lose a life, but you’ll still be able to attempt that clue again. Lose all three lives and you have to remove the highest numbered clue card from the deck of clues, making your case harder to solve. As mentioned the cases have different difficulties. I found that easy was very easy, to the point of the clues offering the most obvious information like “Yup, it was me, I totally murdered that guy and this is why.” Obviously this isn’t a real clue… but you get my point. The medium difficulty is a little more vague with the clues and whilst the main suspect may be fairly obvious, there are more subtle clues that point to other events of the crime that you’ll have to study to make sure you don’t miss anything. 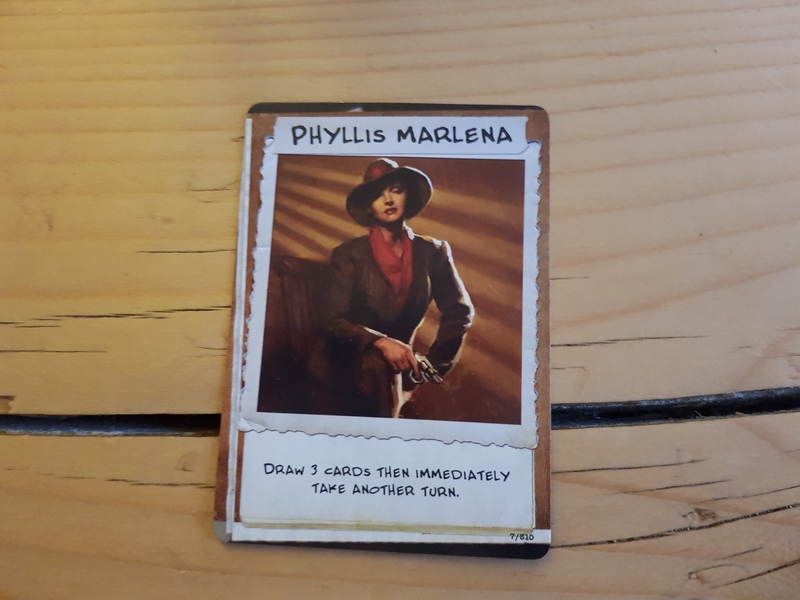 When discussing what clues to go for with your group you’re meant to speak loosely about what cards you have and not directly say “Hey, I have a card with two hats on that will help with X”. At times I didn’t really feel like this mechanic worked all that well because if you have a card with one money on it, that will definitely help, you can’t really be vague about that. You’re either going to say you can help or not, which implies that you definitely have the card. I guess you may not get to play it in the order you want but I think it just seemed a bit of a clumsy way of doing things at times. Overall I really enjoyed Deadline, I thought the theme was excellent and carried through the game very well from the artwork, characters and settings. Some people might be put off by only having 12 cases to play as you definitely can’t replay them. But I think getting that many plays from a game is a decent amount of game time. I also think something has to be said for how quickly the game can be set up and how little room it takes up. You can be up and playing within a couple of minutes and only need space to layout a few cards. 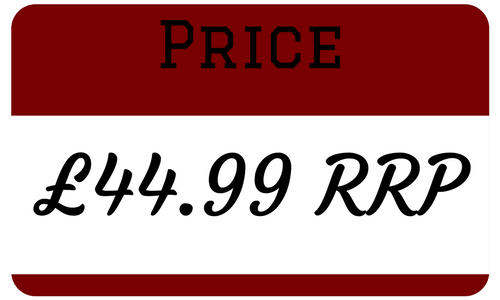 In this day some games take up so much room and take up such a large amount of space – I’m looking at you Dead of Winter, that it’s really refreshing to have a game that doesn’t need that space to operate. If you’re a fan of Detective style games and working together to solve mysteries then I would recommend Deadline to you, just be aware that it has limited replay-ability. Interested in becoming a Detective yourself? Then track down your copy, here.